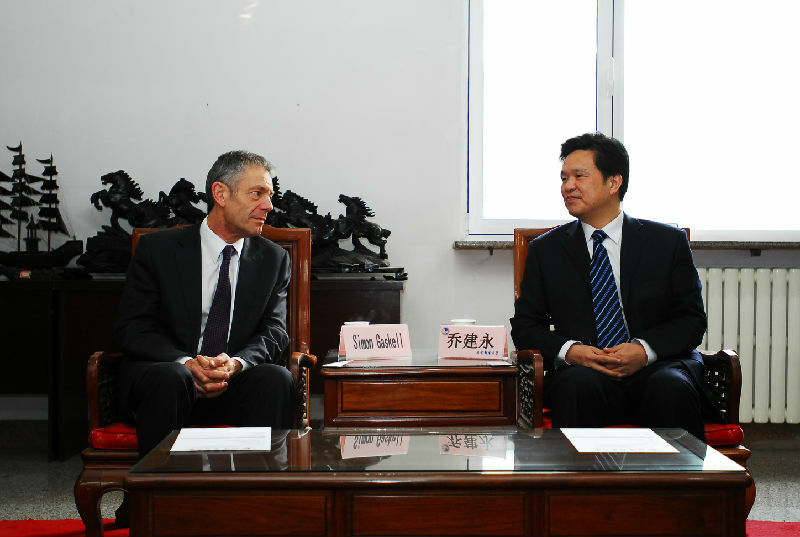 On Dec. 17, 2013, BUPT President QiaoJianyong met with Simon Gaskell, the President of Queen Mary, University of London. President Qiao firstly extended his warm welcome to President Simon Gaskell. 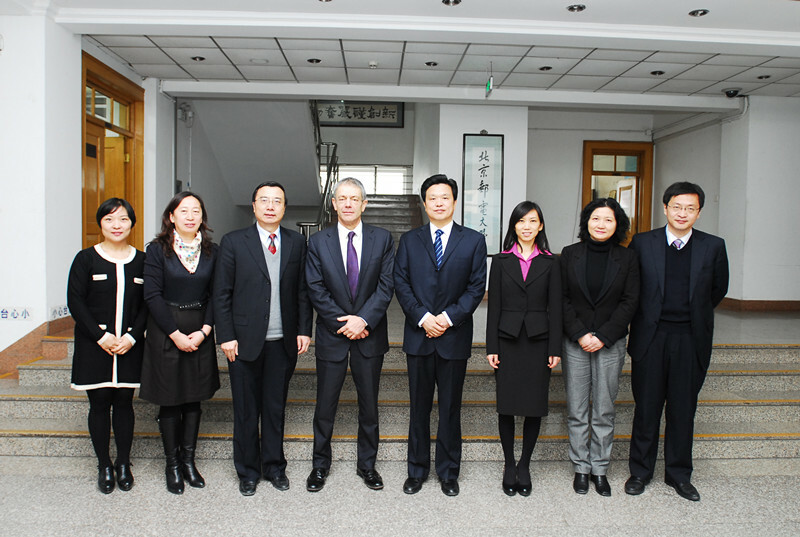 Then, President Qiao briefly introduced him BUPT’s professional features and academic structures. He attached great importance to the Joint Program between BUPT and QMUL, which is a modeling program in the area of Chinese-Foreign Cooperation in Running Schools. Through ten years endeavor from both sides, the Joint Program today is enjoying high reputation not only in China and UK, but also across the whole world. President Qiao stressed that the key to the Joint Program is the quality of the teachers, we first and foremost have to guarantee the quality of the teachers, then we can ensure the students can benefit from the Joint Program, and make the Joint Program sustain. President Simon Gaskell, also expressed his heartfelt gratitude for all the people who made this Joint Program successful. Quality is the soul in running the school, so it should be guaranteed from both sides. Also, in order to enlarge our cooperation and broaden the range of our co-education, we can take advantage of the merits from the two outstanding educational mechanism, and make it even stronger. Our cooperation should not be limited to the teaching, but more of scientific research.Our two universities can organize the International Conferences to gather the scholars from across the world to come and further the exchange of the scholars. Next year marks the 10th anniversary of the establishment of the QMUL-BUPT Joint Program, more efforts from both sides should be made to achieve more success. Presidents from both sides are committed to further strengthening the cooperation and we are in great belief that the QMUL-BUPT Joint Program will become better and better.